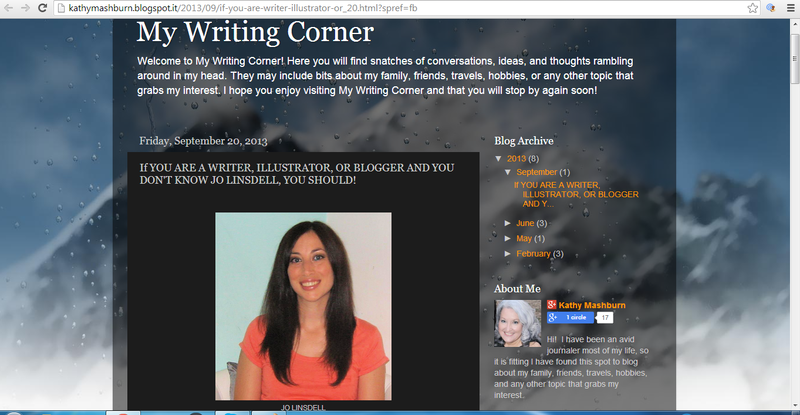 Today I'm hosted at http://kathymashburn.blogspot.it/2013/09/if-you-are-writer-illustrator-or_20.html?spref=fb for an interview. I totally wasn't expecting the fabulous introduction that my host +Kathy Mashburn put together. Definitely feeling the love :) I'm so glad she reached out to me and loved collaborating with her. She's a real pleasure to work with. An experience we hope to repeat again soon. (use the scroll bar to see them all. All tweets are active and can be retweeted, replied to, and added to your favourites list by clicking the icons on the lower right of each tweet. 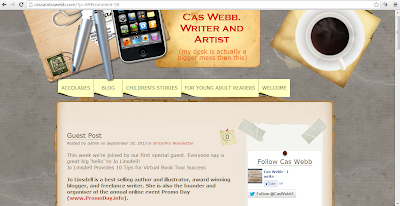 You can also follow each of the profiles by clicking the follow button in the top right). If you've read the book please take a minute to leave me a review at http://www.amazon.com/dp/B00ELNAQ92 and/or http://www.goodreads.com/book/show/18340947-virtual-book-tours. Thanks for your support.